The trajectory of digital technology takes us beyond the confines of literacy to a form of communication which is image based, immediate and highly detailed, specific and universal at once. Instead of speaking, writing, or even texting the narrative is told with a series of images. On one level, the story is a mundane tale of dreamy escape from the demands of the urban landscape. On another level, the story follows a magic penny that is dropped into a panhandler's cup, later reappears in dream space as a magical and benefic force empowered with feathery wings, then finally rewards the spirit of generosity with a reappearance as a lucky penny found on the sidewalk. 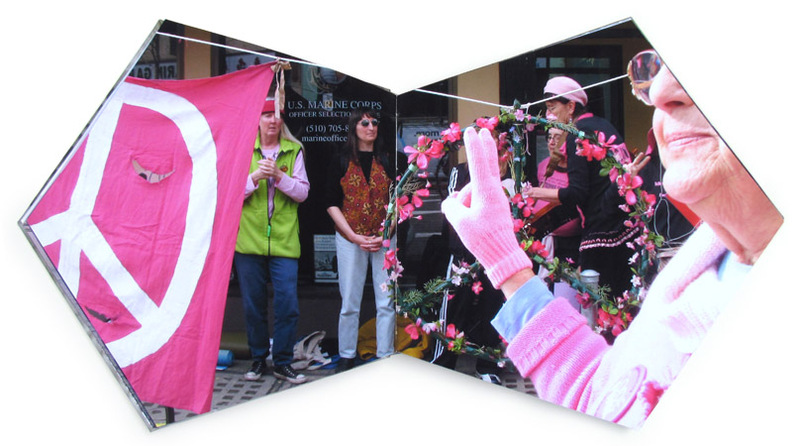 Digitally envisioned and printed, these images reflect the mutability of digital photography. Some images are created with photo-collage techniques using Photoshop. Many pages are manipulated with collage elements using scissors and paste, others are over-painted with metallic and other paints outside the inkjet gamut using stencil techniques. 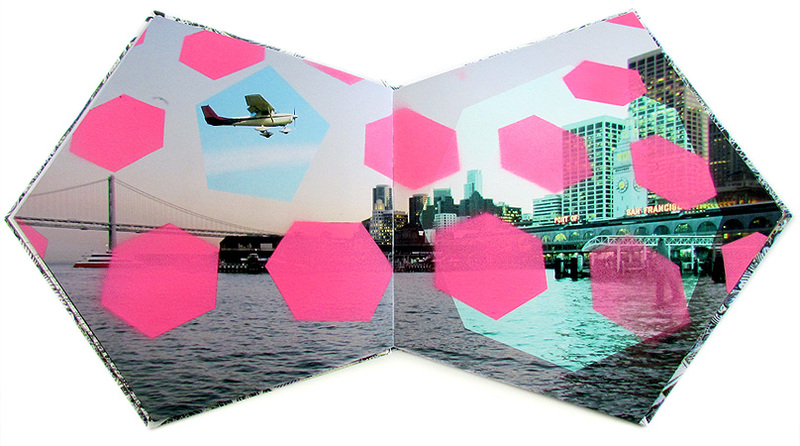 The pentagonal form of the book emphasizes the geometry of real life. In other words, the unusual shape of the book makes for an unfamiliar cropping of the images inside. It is interesting to see how this cropping effects the way one interprets the images. 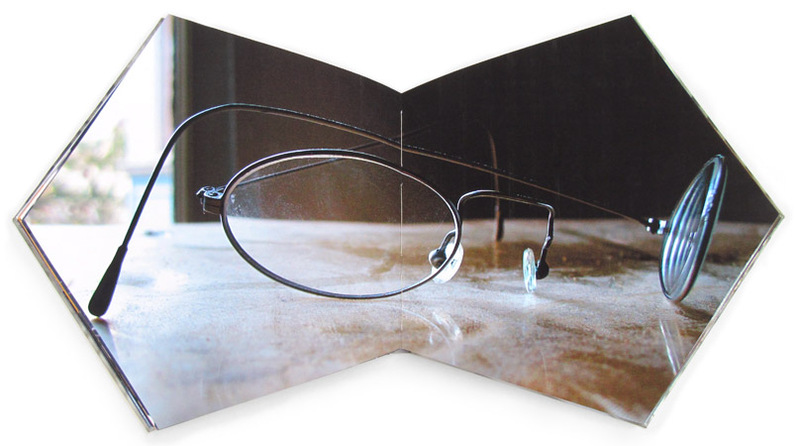 The Waves of Seeing project is conceived as a variable edition of 20 copies. So each copy of the book is another opportunity for the artist to develop the themes and ideas of the project more, rather than to simply reproduce the book 20 times, the book will evolve over the course of the edition. Digital production and printing by Dana F. Smith. case binding by Dana F. Smith. All materials in this book are of archival quality.